How to load Syncfusion Windows Forms controls using NuGet Package? 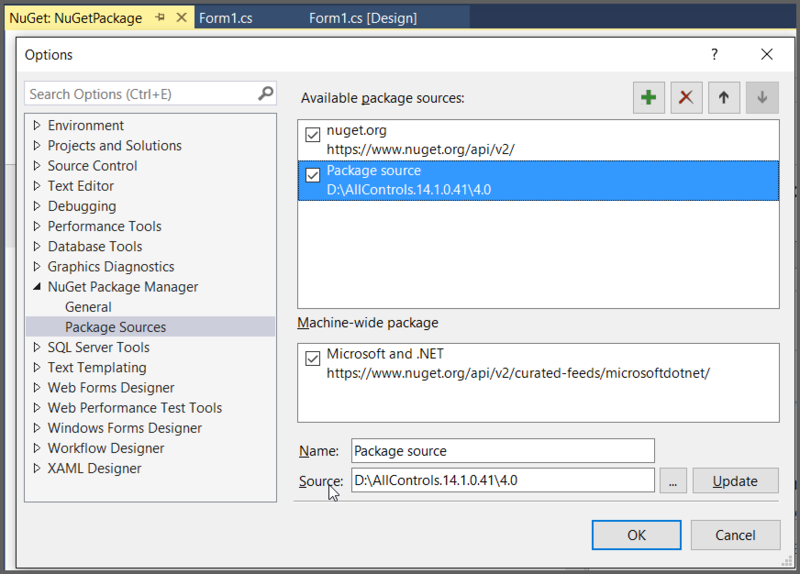 In Visual Studio 2015, Syncfusion Windows Forms controls can be loaded using NuGet Packages instead of installing Complete Essential studio build. This can be achieved by following below steps. 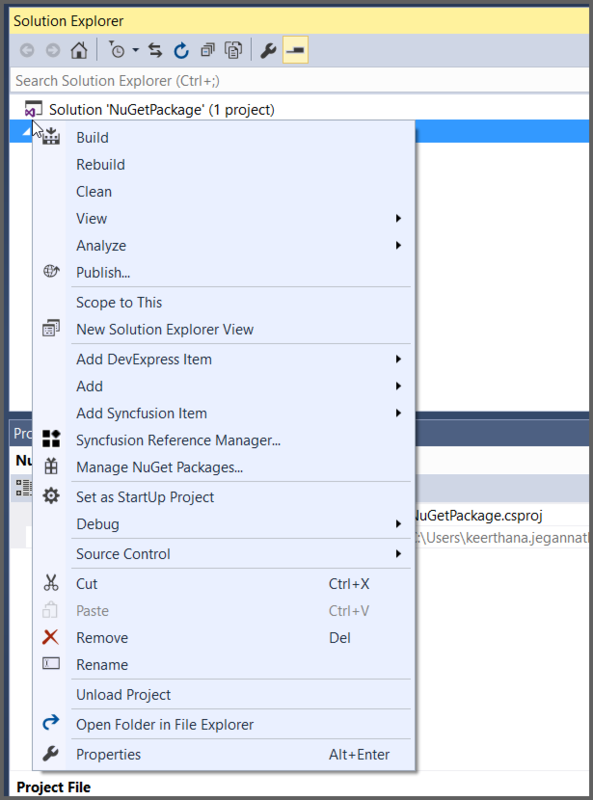 Right click the Project and Select “Manage NuGet Packages”. Select Settings as mentioned in the Screenshot. Select “Plus” icon to add new NuGet Packages into Visual Studio. Set Name to Packages and mention the Location of it and Update. 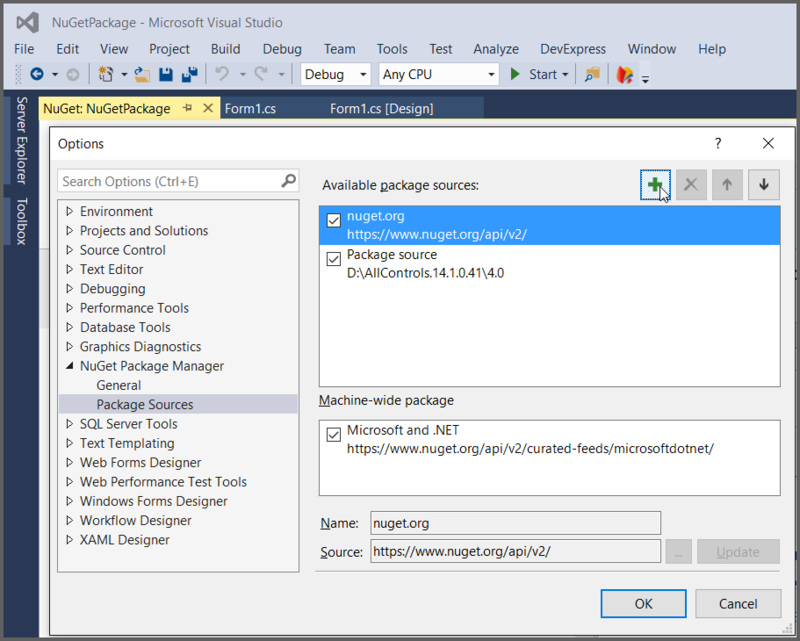 Now NuGet packages are added into Visual Studio, which can use by Select the Name of the Packages. Browse the needed control and install the required assembly. Now the Windows Forms controls can be used with the help of installed Assembly. We have replaced the high quality images in this articles.